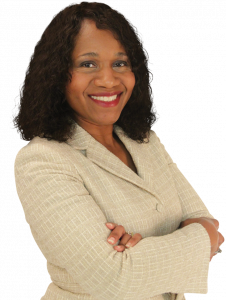 Amanda Green-Hawkins has a deep passion for the law and public service. The best way to understand Amanda’s passion, grit and determination would be to reflect on her early years. A product of the public school system, Amanda went to college earning her undergraduate BA degree from Duke University. She continued on her path of higher education working three jobs to pay her way through school while attending and graduating from Northeastern University School of Law. Along the way Amanda developed a strong interest in protecting working families, the underprivileged and civil rights. It’s easy to find the roots of Amanda’s commitment to working families. Growing up in a Union household, Amanda’s mother was a factory worker who lost her benefits when the company she worked for shut down and moved overseas. Her father was a veteran of the Korean War, a truck driver, and a proud member of the Carpenters Union, ensuring him fair wages and benefits to support his family. Amanda’s first civil rights victory came while clerking for the IUE. Workers in California – nearly all immigrant women – were attempting to organize their factory to combat unsafe working conditions. The factory owner threatened to fire the workers and move the factory out of the country. It was a difficult case with limited modern precedent, but Amanda assisted in crafting the legal argument that saved the workers’ jobs and ensured fair treatment. Clean air and water, a fair wage, and safe working conditions improved the lives of these workers. After clerking for the “toughest” Superior Court judge in New Jersey, Amanda began her professional career as an attorney, faced with a choice: join a high-powered firm with a guaranteed, large annual income; or fight to defend working families. Considering the first case she was offered to work on involved breaking up a union, the choice was easy – Amanda chose to fight for working families and citizens whose voices were often marginalized. At the United Steelworkers, Amanda has fought for working families, the underprivileged and civil rights for years. In one case, Amanda battled a company refusing to pay pensions to nearly 900 employees. She wrote the brief and delivered the oral arguments that gave the employees a fair chance to arbitrate. Hard working citizens need their pensions. As for Public Service, Amanda ran and won twice to be an elected member of the Allegheny County Council. She has also served on many community boards including Women for the Future of Pittsburgh, Women’s Law Project, Urban League of Pittsburgh, NAACP- Pittsburgh Chapter, Democratic National Committee (DNC Rules & Bylaws Committee) and the Port Authority Transportation Board of Allegheny County. Amanda worked on the Election Protection team during the 2008 and 2012 Presidential Election cycles, was a member of the Electoral College in 2012 and has taken on many pro-bono cases in her legal career. In one pro-bono case a daycare owner in Pittsburgh had lost her license to operate. The woman’s appeals were ignored by state agencies, and the daycare was threatened with closing, compelling the parents to find new, last-minute childcare. Amanda defended the center and took the appeal to a higher court; the business was license restored. Amanda is running for Superior Court because she knows the importance of checks and balances, and judicial integrity. Amanda has the compassion and the experience to join the court ensuring a valuable work ethic and understanding of judicial process. “There should never be an attitude of ‘less important’ cases, each case deserves a complete meritorious review.” Amanda is a precision-driven attorney who works on behalf of working families. She will always bring a well formulated, reasoned arguments to the court, it is what she does every day. Active members of their community, Amanda and her husband Rommie live and work in the City of Pittsburgh with their two children Caden, a Pittsburgh Public School student and Cassia, age 3. Endorsed by the Pennsylvania State Democratic Committee, Steel City Stone Walls, United Steel Workers, Philadelphia City Democratic Committee, Dauphine County Democratic Committee, Lancaster County Democratic Committee, and Chester County Democratic Committee.